OEM Toyota Camry Hybrid replacement parts can be expensive. We offer affordable, used, OEM Toyota parts that can extend the life of your Toyota! You’ll have access to a wide variety of trims and packages parts for the Toyota Camry Hybrid LE, SE and XLE. Keep reading below to find out more. Our 1 Year Part Warranty is hassle-free and included at no extra cost. You will also save up to 70% off new and aftermarket part prices without the confusion of buying the part you need. Quality assured and inspected, used OEM log block engines for sale at affordable prices. Hassle-Free, your satisfaction guaranteed. Quality assured and inspected, used OEM log block engines. OEM replacement automatic and manual transmissions for all makes and models. OEM quality guaranteed. OEM replacement automatic and manual transmissions. Quality used headlamps you need for sale at prices you want with a hassle-free 1 Year Warranty. Low cost, high quality OEM headlights. Quality used headlamps you need for sale at prices you want. Get your Anti-lock brakes braking again with a quality used OEM ABS pump and our hassle-free 1 Year Warranty. Get your Anti-lock brakes braking again with a quality used OEM. Only a quality OEM ECU with our hassle-free 1 Year Warranty should replace the brain behind your engine. Buy used & save up to 70% today! Only a quality OEM ECU with our hassle-free 1 Year Warranty. Restore your sound with an OEM used radio or amplifier! With a 1 Year Warranty and low prices, there's no compromise in quality or affordability. Restore your sound with an OEM used radio or amplifier! Where can I find affordable OEM replacement auto parts for a Toyota Camry Hybrid that comes with a warranty? Benzeen Auto Parts offers a wide selection with savings of up to 70% off new and aftermarket prices. At Benzeen, we stand behind the products we sell. We include with every part, our hassle-free 1 Year Warranty at no extra charge which is a safe alternative to buying junkyard or salvage yard Camry Hybrid parts. Where should I purchase used OEM Toyota Camry Hybrid parts online? Benzeen offers a wide variety of used parts for Toyota’s for any project to rebuild, convert, retrofit or simply replace a worn-out part. Order Toyota Camry Hybrid parts from our website anytime, anywhere! Easily find the part you need and verify compatibility using our advanced online part search tools, no mechanic required! When you have questions, our experienced part specialists are standing by with access to part diagrams, parts catalogs, chassis codes, VIN decoders, and more to help you find the exact OEM part. What are common replacement parts for a Toyota Camry Hybrid? While we at Benzeen offer every part your Toyota needs, here are just a few of the popular parts we specialize in: though it’s not common for an ECU or ECM to fail, incorrect programming or water damage can require a replacement. Loud music can cause your radio or amplifier to break. If your ABS pump is leaking, give your Camry Hybrid a tested replacement. We have a large inventory of OEM replacement options for your Toyota. Rather than repairing your Camry Hybrid transmission, it can be more affordable to replace it with a quality used OEM alternative. If your Camry Hybrid old, don’t worry, most of our engines are tested and cleaned and include a 1 Year Warranty. Quality used headlamps are our specialty. Difference between OEM used, new and aftermarket parts? OEM is an abbreviation for Original Equipment Manufacturer meaning parts are made directly by the make, not by a third party. When you buy used OEM parts, you can expect big savings off the MSRP. Aftermarket parts are manufactured by a company other than your car’s manufacturer. They can be produced at a high volume and made to similar specifications of your Camry Hybrid, but may not offer a perfect fit, making used OEM parts a safer and more affordable option. 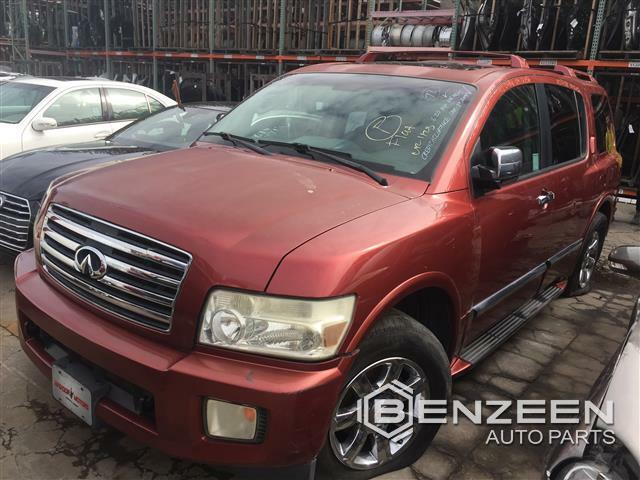 Now parting out this salvaged Infiniti QX56 to offer quality, reusable parts. We test and inspect every part to bring you the same OEM quality and fit with a 1 Year Warranty, at up to 70% off MSRP. 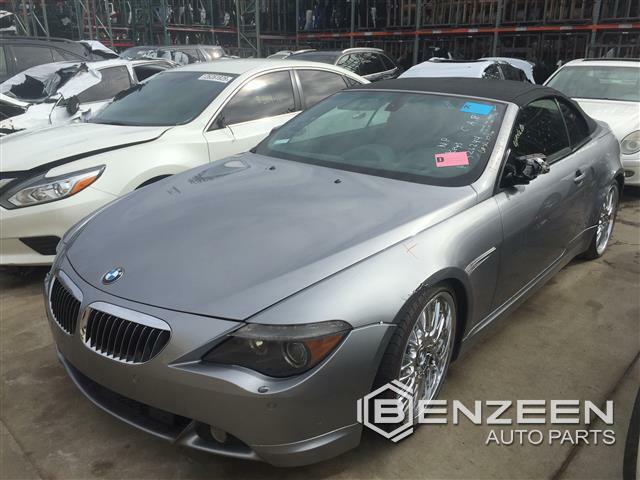 Now parting out this salvaged BMW 645CI to offer quality, reusable parts. We test and inspect every part to bring you the same OEM quality and fit with a 1 Year Warranty, at up to 70% off MSRP. Now parting out this salvaged Lexus RX400H to offer quality, reusable parts. We test and inspect every part to bring you the same OEM quality and fit with a 1 Year Warranty, at up to 70% off MSRP. Now parting out this salvaged TOYOTA PRIUS to offer quality, reusable parts. We test and inspect every part to bring you the same OEM quality and fit with a 1 Year Warranty, at up to 70% off MSRP. Now parting out this salvaged Lexus LS430 to offer quality, reusable parts. We test and inspect every part to bring you the same OEM quality and fit with a 1 Year Warranty, at up to 70% off MSRP. Now parting out this salvaged Lexus GS350 to offer quality, reusable parts. We test and inspect every part to bring you the same OEM quality and fit with a 1 Year Warranty, at up to 70% off MSRP. Benzeenautoparts.com is your store for the best genuine OEM used auto parts online. With a hassle-free one year warranty and the highest standards in quality and affordability, you can always rely on us and your part. Parts Leave in 24 Business Hours to Lower 48 States. Thank You for visiting Benzeen! Where our parts are pictured with accurate and detailed descriptions so you know exactly what to expect from the moment you place an order to the moment you receive your part. Because our hassle-free 1-year warranty comes standard, you'll enjoy the peace of mind that comes only with a Benzeen Auto Part. Buying used is a cost efficient and environmentally friendly alternative to purchasing new OEM parts, you'll save up to 70% off! Together, we are helping the environment by reducing consumption of the earth's resources to create new parts! Get the part you need, save time and money with a warranty you can depend on, all while helping the environment, only at Benzeenautoparts.com ! This website is not endorsed, approved or affiliated with any of the makes that may be represented by their respective names or logos. None of the owners of these names or logos represent any of the products advertised or offered on this website. All make names and logos are property of their respective owners and are used in this website solely for identification and education. © 2018 Benzeen Auto Parts. All Rights Reserved.